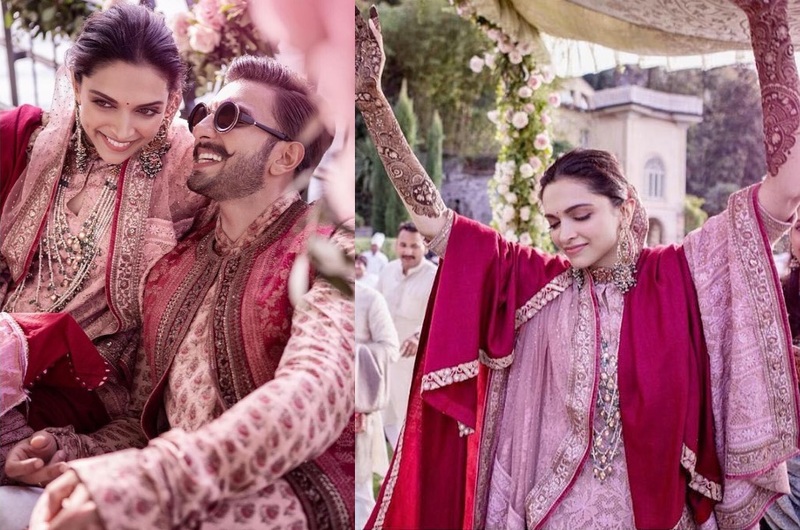 The newly weds released a few more pictures from their wedding festivities on social media and here are the pics. Unless you’ve been living under a rock, you know Yuvraj and Hazel tied the knot this past week. The couple had their wedding trousseau exclusively designed by JJ Valaya and below are pics from their Delhi reception. Unfortunately, we don’t have pics from their other events but you can check out their exclusive spread for Hello wearing their wedding outfits HERE. Our congratulations to the newly weds. 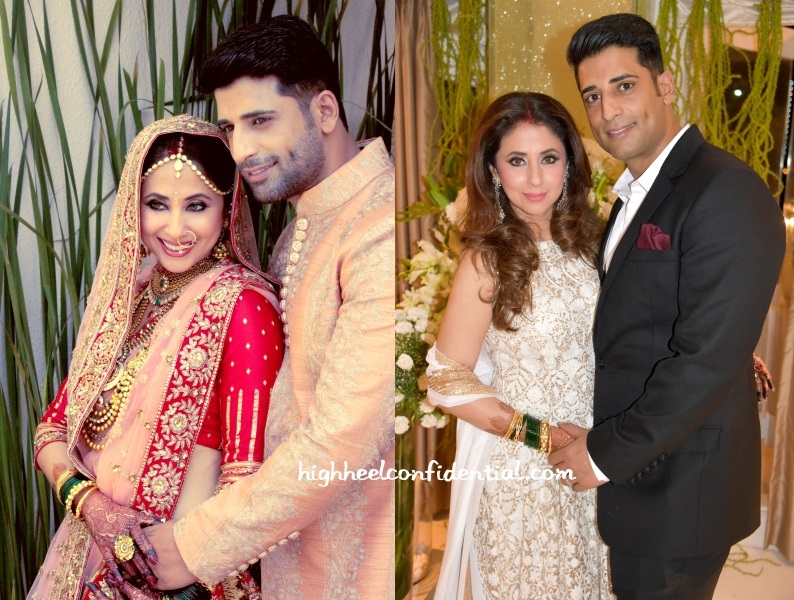 Unless you’ve been living under a rock, you know Urmila tied the knot with Mohsin Akhtar recently in Mumbai. 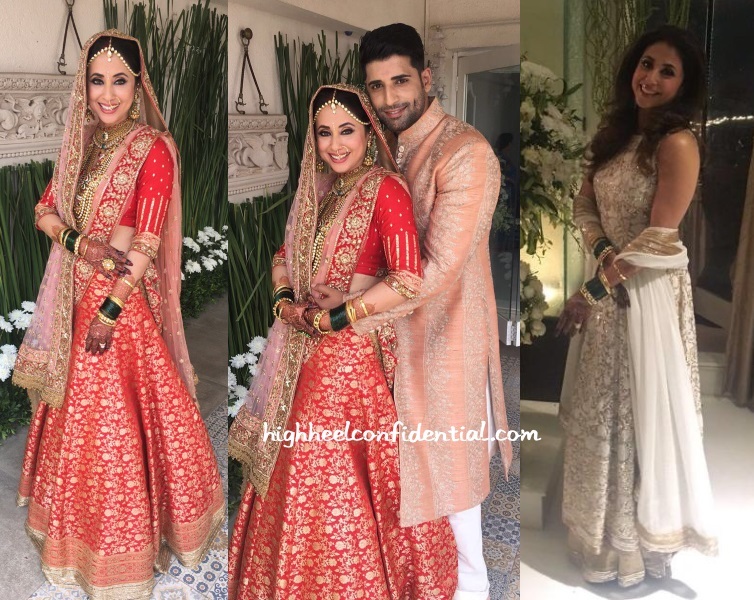 While news of the nuptial might have taken folks by surprise, what was not surprising that the actress donned Manish Malhotra for her wedding festivities. Our congratulations to the newly weds! 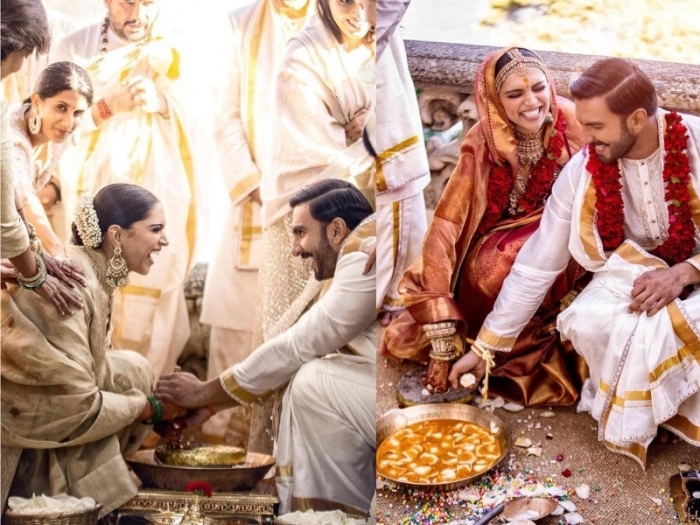 Unless you live under a rock, you know Asin tied the knot with Rahul Sharma on Tuesday. 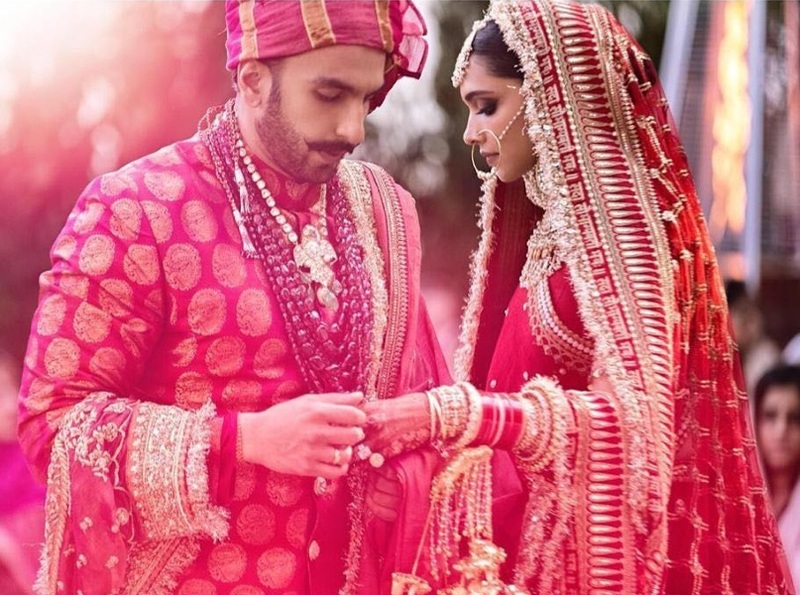 The couple had a Christian wedding followed by a Hindu one where the bride was seen in a Sabyasachi lehenga. Our best wishes to the newly weds! Update: Here are more pics of the bride and groom from their wedding day. Rahul wore a Raghavendra Rahthore sherwani and a Tom Ford suit. Asin wore Vera Wang and Cartier jewels to her Christian wedding. Check inside for more pics! P.S. 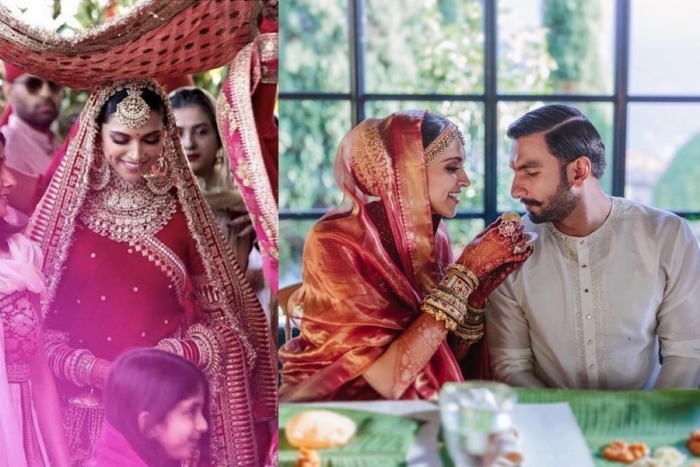 Don’t forget to tune in to get all the coverage from their wedding reception that happens tonight! 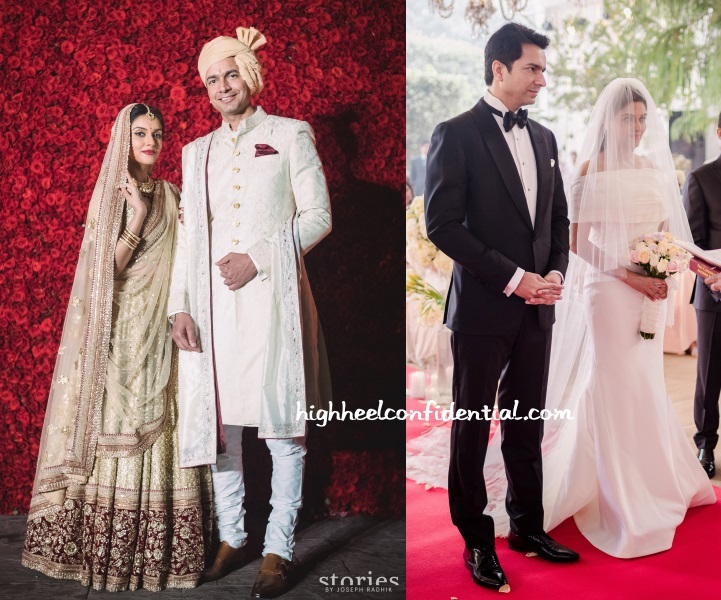 It’s not every day that you someone missing the Filmfare Awards but Ms. Sinha did just that over the weekend choosing to attend her former stylist Sakshi Mehra’s nuptials than walk the red carpet. 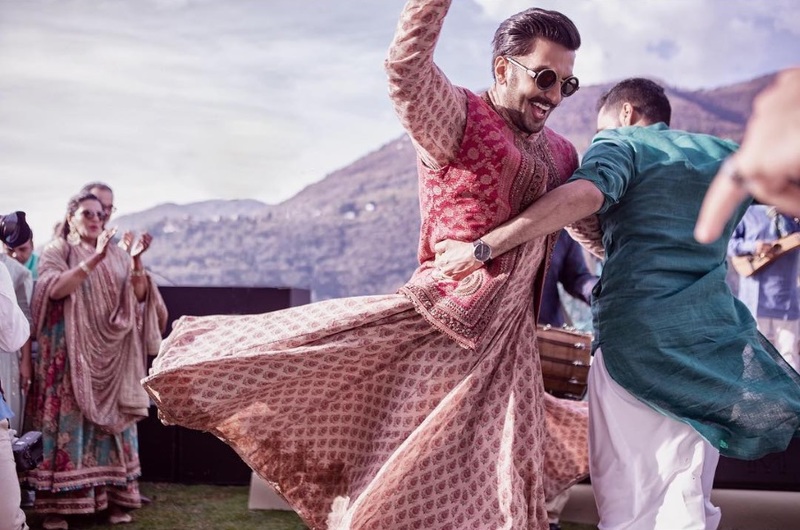 While at the sangeet the actor was seen in a Papa Don’t Preach dhoti sari, the wedding ceremony saw her in a black Ridhi Mehra strapless maxi featuring a sheer cape. Which of the two looks do you think she looked better in?